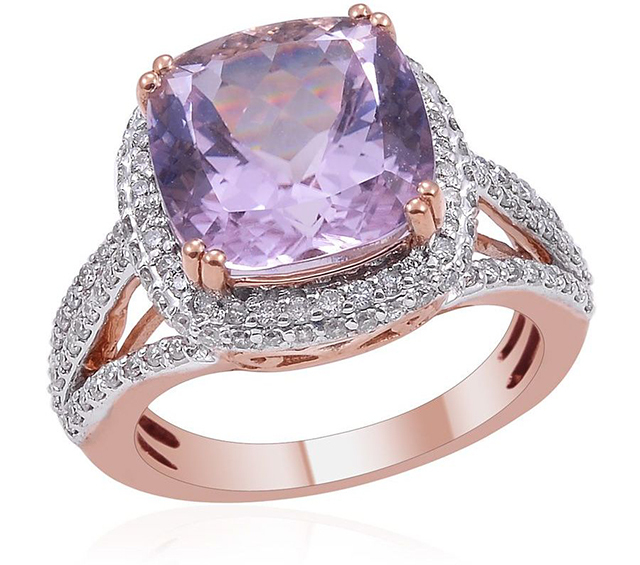 Kunzite Known for its pretty pink and violet hues, kunzite boasts a mesmerising colour changing ability. Kunzite is named after George F. Kunz, a respected American mineralogist and buyer for Tiffany & Co, who first described the gem in 1902 after its discovery in California. Kunzite is the youngest member of the spodumene family of minerals. Its delicate lilac colour comes from trace amounts of manganese within the stone. Kunzite measures between 6.5 - 7 on the Mohs scale, so it’s able to withstand normal wear and tear, although any chips could ruin its clarity. According to folklore, if you dream of kunzite, there will be a new baby in the family. Kunzite was also believed to bring good fortune and purity to those who wore it.